The Rev. Craig Johnson, bishop of the Minneapolis Area Synod of the Evangelical Lutheran Church in America, is expected to take over as interim senior pastor at Mount Olivet Lutheran Church in Minneapolis. Johnson, who was an associate pastor at Mount Olivet for nearly 14 years, would replace the Rev. Paul Youngdahl, who died last week at the age of 73. A person familiar with the decision confirmed the changeover Monday morning and said an official announcement from Lutheran officials was scheduled for this afternoon. It’s not yet known if Johnson would be stepping down from his current job to take over leadership responsibilities at Mount Olivet, the country’s largest ELCA congregation, with nearly 13,500 members. Johnson was elected bishop in June 2001 and re-elected on June 1, 2007. Born in St. Croix Falls, Wis., and raised in Chisago City, Minn., Johnson is a graduate of Gustavus Adolphus College, St. Peter, where he majored in business administration. 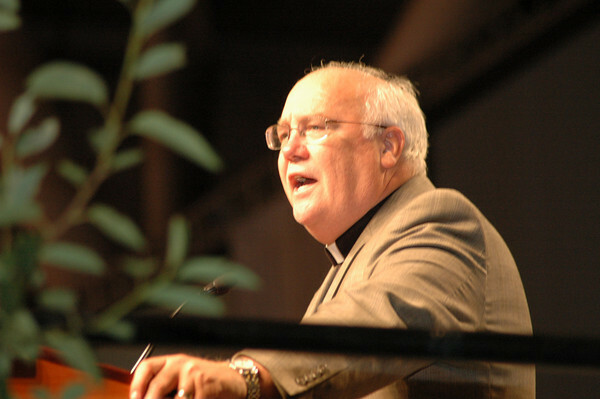 He did his master of divinity studies at Northwestern Theological Seminary, Minneapolis (now Luther Seminary, St. Paul), and graduated in 1973. He was also ordained that same year and from 1973 to 1996, Johnson served as pastor at Nativity Lutheran Church, Shreveport, La. ; Mount Olivet Lutheran Church; and Transfiguration Lutheran Church, Bloomington. Craig and his wife Cindy have three children, Nicholas, Laura, and Kyle, and they live in Bloomington, and are members of Mount Olivet.